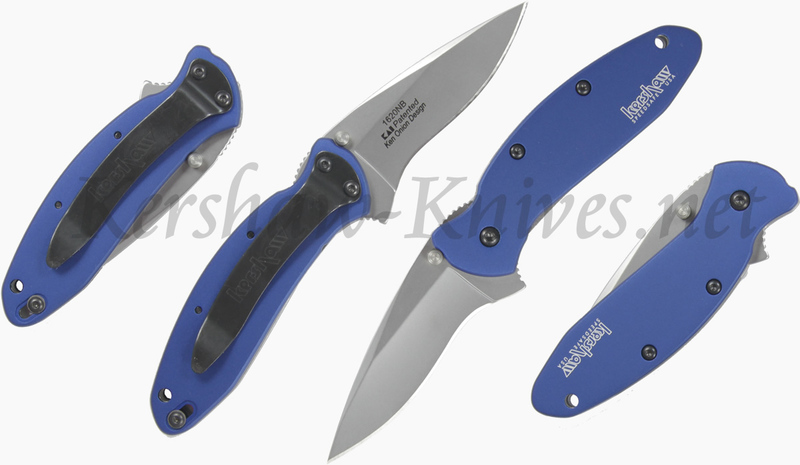 This Kershaw Scallion 1620NB has a bright navy blue colored handle. Introduced in 2013, this color replaces the normal blue colored handle that was phased out. This knife is assisted opening using the ken onion design and is made in USA as well. 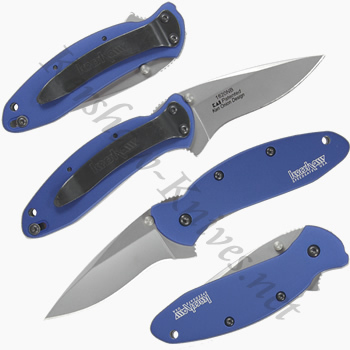 The blade is made of high carbon bead blasted stainless steel, and the handle material is T6 aluminum. 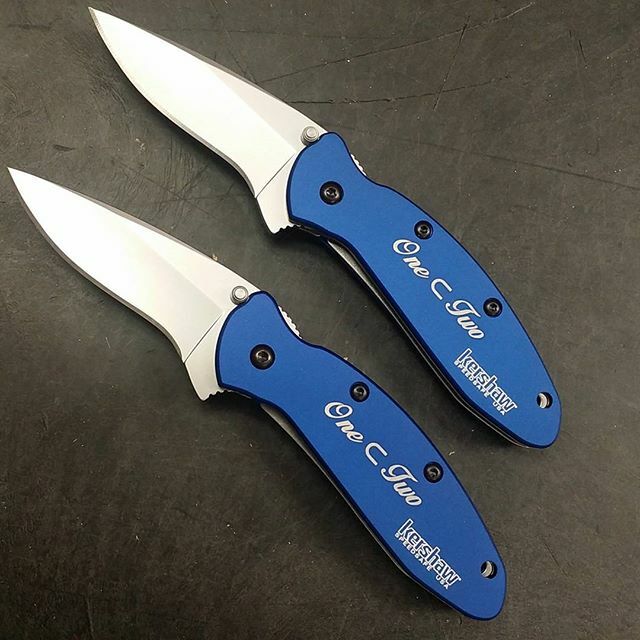 Laser engraving looks great on this knife. The navy blue color will burn to a virbrant white color that will prominently display your name or company logo.